A new class of visa and the establishment of the Australian Space Agency headquarters in Adelaide is generating national and global interest in an incubator program for space industry startups, The Lead portal reports. According to the website, South Australian space incubator, Venture Catalyst Space, began working with its first five companies in September 2018. But the growth and national focus of the space industry in Adelaide is leading to heightened competition for places in the second round, which begins later this year. Funded by the South Australian Government’s $4 million Space Innovation Fund and run by the University of South Australia’s Innovation & Collaboration Centre (ICC) with support from the International Space University, the incubator is now looking for up to 10 companies to be part of its second international cohort. The Supporting Innovation in South Australia (SISA) pilot visa program started in November 2018 and seeks to attract global seed-stage entrepreneurs to develop their ideas in South Australia. Successful applicants must also be part of an innovation ecosystem provider such as the ICC. 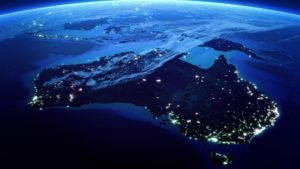 In December, the Australian Government announced the newly-formed Australian Space Agency would be based in Adelaide, cementing South Australia’s position as the epicenter of the space industry. Applications for the second intake of the Venture Catalyst Space program opened last month and the ICC has already fielded inquiries from India, Pakistan, the Philippines, Singapore, Germany and Vietnam. Applications, which close in April, are also expected from startups in other states within Australia. Innovation & Collaboration Centre Director Jasmine Vreugdenburg said the new visa and the announcement of the national space agency being headquartered in Adelaide were important for the incubator’s growth. South Australia has been a significant player in the nation’s space industry and is home to major Tier 1 defense companies and several emerging space start-ups, including Fleet Space Technologies and Myriota, which have both announced new IoT initiatives in the past week. Last December Southern Launch also announced it would establish a launch facility on Eyre Peninsula, in the state’s north. The South Australia Space Industry Centre, launched in 2017, has been instrumental in helping establish the space sector ecosystem in the state and reports that there are more than 70 companies employing 800 people in the industry in South Australia, including Italian space company SITAEL. Vreugdenburg noted many of the concepts being generated by space startups locally were applications that used satellite data to improve intelligence across a number of industries. The new national agency will be housed at Lot Fourteen, a former hospital site that is being transformed into a entrepreneur and defence hub, and will now fall within the Australian government’s City Deal scheme to drive long-term investment in the Adelaide CBD. The six-month Venture Catalyst Space program includes business builder workshops, mentoring, access to a global network of expert advisers, office space, meeting rooms and high speed internet in the ICC, a stipend of $6k per company and the chance to pitch for a sponsored overseas trip to meet investors, customers and experience the global startup community. Startup Tekuma relocated from Sydney to Adelaide last year to be part of the inaugural program. Tekuma’s flagship product is a controller for drones and robots that allows the user to operate the drone with one hand, freeing up the other hand to control the peripheral such as a camera. Tekuma co-founder Annette McCelland said the Venture Catalyst Space program had not only provided office space, a stipend to help relocate and access to likeminded people both within and outside the program but it had also enabled an introduction to Defence SA, which had in turn led to many valuable connections with the local industry. All views, positions, and conclusions expressed in the publications should be understood to be solely those of the author(s).